The Aleethia Foundation / Buon Appetito! On May 17th, buses headed downtown to Tesoro for Aleethia’s “Friday Night Dinner” hosted by Clark Construction Group. It was a great evening of meeting new friends, awesome food, door prizes and more. 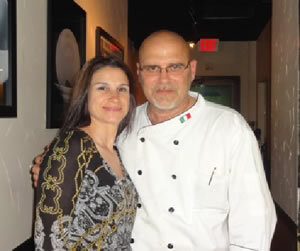 Five delicious courses of Italian specialties were prepared by Chef/Owner Ignazio Bonanni of Tesoro Ristorante.